So, how do you go move forward with your life after suffering from FINANCIAL TRAUMA? I don’t care how it happened. I don’t mind hearing your sob story. I’m sure I’ve heard it before and yes, I do have sympathy. The liar, the stealer, the good-for-nothing ex, the snake-oil salesman, the errors & omissions of the well-meaning…..
Usually it falls into one of those categories. It doesn’t change the fact that it happened, and whatever happened has no left you holding the bag and you have to deal with it. The bottom line is this: somewhere in your past a decision you made didn’t pan out as planned. And this isn’t about who is right or who is wrong. The fact is, you made a choice and now you have to take responsibility for it. 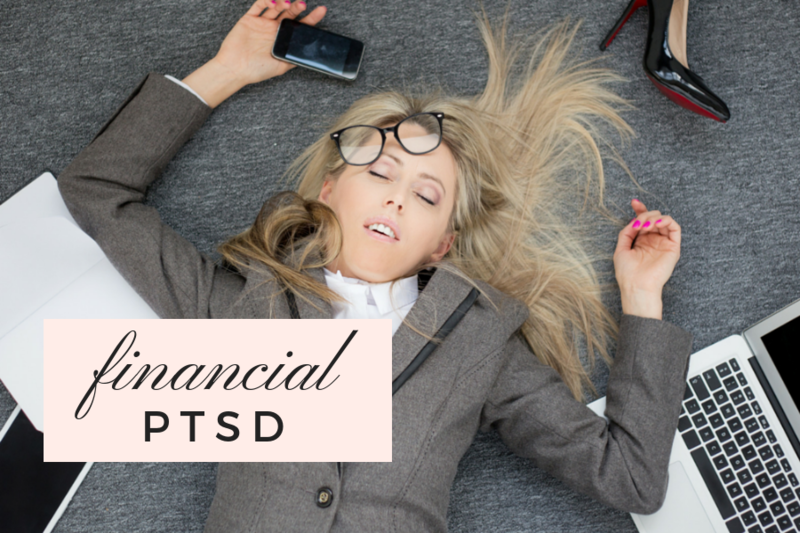 The reason why so many people stay in Financial Post-Traumatic Stress is because they don’t take the first step – which is admitting they are 100% responsible. Most people can’t wrap their heads around this. Don’t worry – you reading this aren’t most people. Most people reading this will and always go with the path of the victim and will never rise above that station in life. They never let petty, tiny, ridiculous MONEY ISSUES get in the way of what they are here to do. Whether that be to provide for their families, create their dream business or life and no doubt make a profound and positive impact in the world. They can’t let something as silly as a financial trauma or money issue get in their way! You are still attached to the past. You are still attached to the outcome and you haven’t released it yet. When you don’t release the attachment you have to the outcomes it will CREATE anxiety in you. You can push this money stuff down with an anti-anxiety prescription drug or non-prescription drugs and alcohol and food but let me tell you until you deal with the SCARY STUFF (aka. facing your real money problems) head on it will fester in your life until it produces a string of unfortunate events in your life. You will manifest nothing good. Becuase nothing good can come from not taking responsibility for all that you created. Becuase you were put here to be a creator of your life, and not taking responsibility for that is against the entire reason for your existence. You were here to create and when you are not creating your life ON PURPOSE you are playing victim to your life. Creative beings not creating wreaks all havoc in people’s lives. People need to be creating constructively and on purpose, not just floating in the breeze, drifting through life and letting life occur to you when it needs to be the other way around. It physically goes against everything you were put here to do. So, we NEED to get past the crap and move forward. We need to get over the Money Trauma and move forward. We need to get to the place where we can live FREE and POWERFUL. Yes, I know you “used” to be in a better financial position and you “shoulda” had the billion dollars by now. Hate to break it to you, but your ego is the only thing that cares. The rest of the world is moving on without you…. But either way, you don’t focus on that, because you are only here to….